Music is all about feeling free to express yourself as you truly are, and here at JamandaHalf we feel as though respect is deserved for stickin your neck out. Whether its Andre 3K singin about vampire love or Willy Nelson puttin out a reggae album (yeah those actually happened) these are the people pushing music forward. Don't be fooled, not all of them turn out to be jams, let alone Jam and a Halfs, but the ones who do need to be recognized. While some people may feel as though anything related to the Beatles is as mainstream as music can get, they are forgetting the criticism that the four faced after their acid soaked departure from classical pop music in the middle 60's. John Lennon, the real song writer, not to mention spiritual leader and front man of the group, faced the most criticism from the yuppies of the world. Furthermore, as he and his relationship with Yoko Ono received more and more of the blame for breaking up the Beatles, even some of his fans started to turn on the man. It's no wonder he might have been feelin a bit estranged, but in this condition he put together a classic track for all the world's misunderstood. Watching the Wheels is a celebration of individualism , of doin your own thing, a classy F*** Off to anyone who is mindin your business instead of their own. 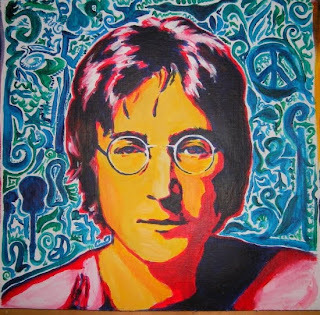 Lennon wrote the song for what would be his final album released just three weeks before his death in 1980. While the album version is nice, my favorite is the acoustic cut where Johnny pours some real genuine soul into the vocals. Watching the Wheels is a stand for individuality...as well as a certified Jam and a Half.